What Are Acceptable Ads? audio links that take up a certain portion of your screen area. Audio and Video Ads start playing automatically more often than not. However, blocking all ads can prove to be counterproductive on some occasions. This is so because some ads aren't annoying. Websites you frequently visit might also be dependent on ads to earn their revenue. Keeping such ad content in mind - based on user preferences - certain advertisements are allowed to run by default by enabling the Acceptable Ads option/filter. The mechanism which identifies Acceptable Ads has strict guidelines which has been created by taking into account user preferences. Advertisers and publishers who have agreed to make ads abiding by user-generated preferences are whitelisted. Users can support this less extreme version of ad blocking by allowing the Acceptable Ads option to remain enabled. 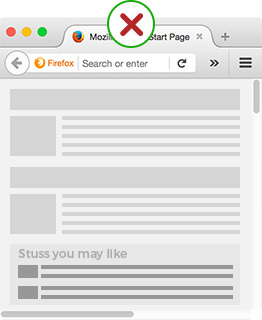 To browse completely ad-free, users can disable the option. The Ads should under no circumstance merge with the actual content on the page. It should be clearly marked with the word "advertisement" or something comparable. 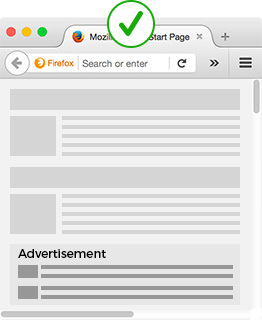 Above principal content: Ad height should not exceed 200px. 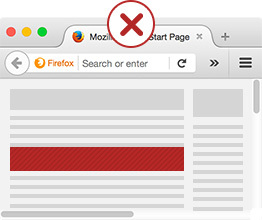 Side(s) of principal content: Ad width should not exceed 350px. 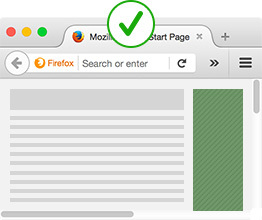 Below principal content: Ad height should not exceed 400px. Ads should leave enough space for principal content on common screen size of 1366x768 on desktops, 360x640 for mobile devices and 768x1024 for tablets. 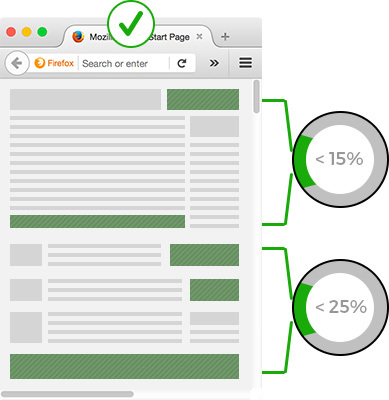 All ads above the fold should not take more than 15 % of visible portion of the page. 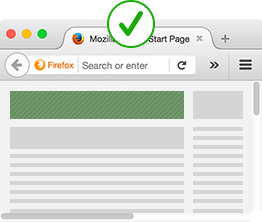 If placed below the fold, they should not take more than 25 % of the visible portion of the page. Must not use excessive colors that attracts attention. 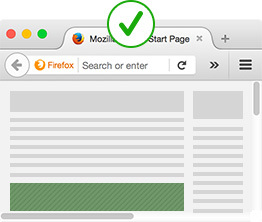 Static images are admissible if they pass the 'unobtrusiveness parameter' based on integration with webpage. For ads in lists and feeds, general criteria differ based on placement requirements i.e. in-between entries and feeds. Ads displayed following a user-initiated search query depends on size requirements and can be larger than the general specifications. Only text ads allowed. For error or parking pages, the criteria changes based on placement requirements, no placement limitations, size requirements, and no size limitations. Ads that change conspicuously in spite of the principal content being static. * Except when the user interacts with the ad (e.g. clicks on the ad to see a video ad playing). © 2017 TechBlocker. All Rights Reserved.